If it's for the Birds - We've Got It and You Can Make it! Build a stylish house for your feathered friends in no time with one of the free bird house plans. Build a simple bird house or an elaborate wooden purple martin bird house for bird watching fun. Here's a great weekend idea! Build a bird house with the kids' help. 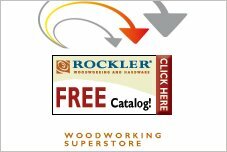 We have a whole children's bird house plans section with bird houses that children can help build. 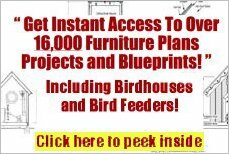 Choose a bird house plan from the bird house list that is suitable for the type of bird you want to attract. Browse the bird house plans index to find the correct one. Bird houses are one of a woodworker's favorite items to build because they are inexpensive and build quickly. And don't forget about feeding those birds you just housed! Use one of these bird feeder plans to build a cafe for the neighborhood birds. It's a great one weekend project. Bird house crafts galore - Choose from bird house quilt patterns, stitchery and bird house crafts. I love the pattern to turn a tea cup and saucer into a bird feeder on a stick. There's a great selection of whimsical decorative bird houses to make, paint and decorate. We also have included wind chime plans and butterfly house plans so you have more weekend projects to choose from. Crafty Birds is chock full of do-it-yourself bird house plans, projects and ideas. 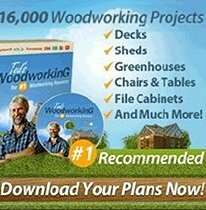 Whether you want to make a functional out of doors bird house or bird feeder, or want to decorate your house in a bird house theme, you will find all the bird house plans and patterns right here.